I have quite a large collection of DVDs and box sets that I want to rip DVD movie to HTPC. I don't really know much about ripping DVDs so is looking for some guidance on what the best software is to use, what format or codec to use, what bit rate, what audio codec, and what container to use. There seem to be so many variables that it's a little confusing. I just want my DVDs ripped so they are still of good quality with the original 5.1 soundtrack in tact but reduced in size. To put DVD movie to HTPC for playing, you need to transcode DVD to HTPC compatible video. 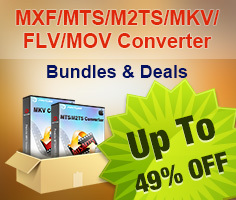 Pavtube DVD Ripper can satisfy you with the fast converting speed, the perfect video quality and the 5.1 channel kept. It is really a useful DVD to HTPC ripper for you to convert DVD movie to HTPC for enjoying. Below are steps for you to convert DVD movie to HTPC with 5.1 channel and transfer DVD movie to HTPC for playing. Step 1. Load DVD movies to the DVD to HTPC ripper. Put Blu-ray disc in BD drive, then install and run the Pavtube DVD Ripper on your computer. Click “Load DVD” to import DVD movie. By default the files are listed in Title Mode in Pavtube HTPC DVD video converter, and all the chapters are in numerical sequence. Check the chapters you’d like to rip and leave others unchecked. Step 2. Select output format for DVD to HTPC conversion. Now you should choose a format to rip DVD to HTPC. 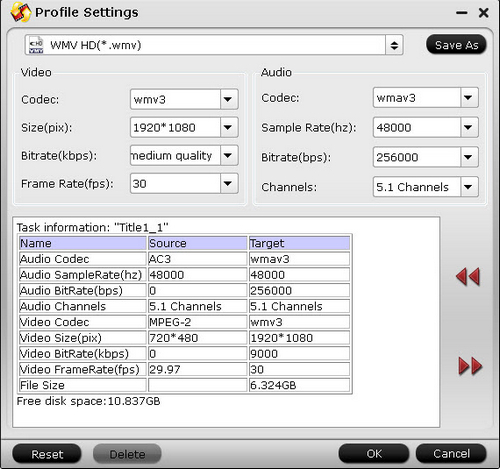 Generally, 1080p WMV is a compatible format for HTPC playing. You are recommended to click the “Format” bar and choose “HD Video -> WMV HD (*.wmv)”. The WMV HD format export video of 1920*1080, 8000kbps, and 30fps with 5.1 surround sound, which plays great on HDTV. Step 3. Start converting DVD to 1080p HD video for HTPC. Click “Convert” button to start to convert DVD to 1080p HD video for HTPC with HTPC DVD video converter. When the conversion task is completed, just feel free to copy the movies to HTC Media Library and enjoy the movies on HDTV through your HTPC. How to rip DVD to MKV to watch over WD TV?